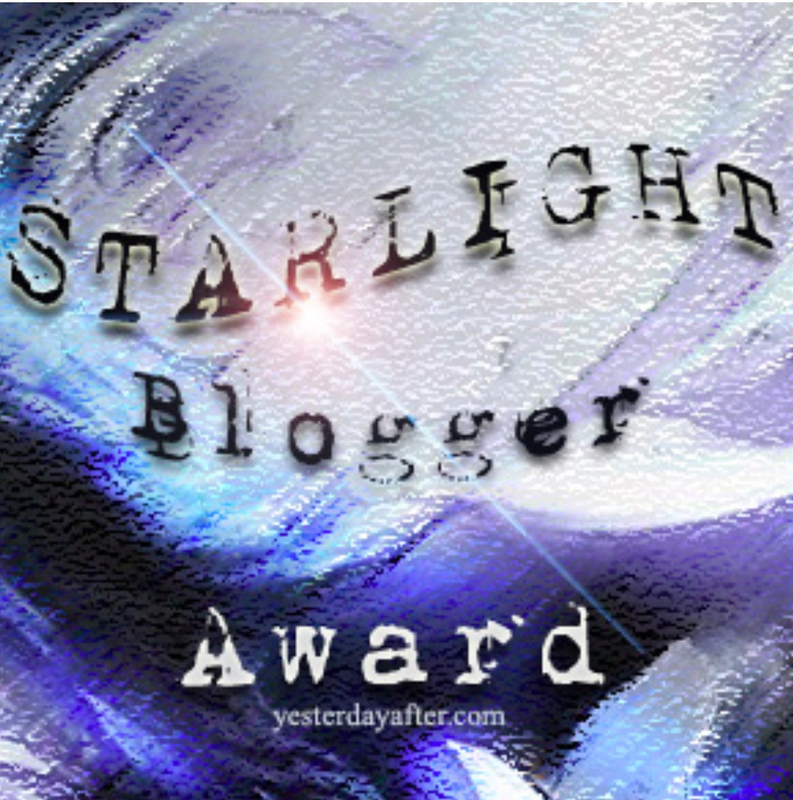 Thank you to kindred spirit and blogger Booklover circumspect4 for nominating me for the Starlight Blogger Award. Fellow bloggers like her give me a sense of belonging to a warm community of book lovers. Please do visit her blog for great book reviews and tours. 1. If you could meet anyone from throughout history, who and why? I would love to meet the Dalai Lama, as his peace and countenance would help me to counteract the negativity and turmoil within me. His belief and actions make him someone I can trust to understand myself and this strange world. I definitely need to meet content and those who are secure and happy in themselves to balance the opposite I have encountered. Where do I start? My favourite book differs in different context: favourite I read in school, favourite childhood read, favourite tween read, favourite book I reviewed, the list is endless but out of the many books I have read Rose Madder by Stephen King, which I read in 1995, is one that affected me deeply. It could have been the right book for the right phase in my life or mood I was in when I picked it up but it is the book I look back on with most fondness. 3. Who is your favorite fiction character from any medium and why? What book have you read that made you want to travel to the place in the book? Years ago, in 1985 when I was eleven, I read a children’s book called The Island By The Sea by Anita Desai from my school library, which transported me to Sri Lanka and I’ve always wanted to visit. My father was a single-handed GP so we had no holidays away from 1982 to 1987, so this book was a welcome respite. What was the last book that you read that you absolutely could not finish or was a major struggle to finish? The Circle by Mario Escobar, was a struggle to read and I wasn’t sure if it lost something in translation from the original Spanish or the basic concepts on which the plot was based was just poorly researched. It’s not the first time a writer has failed to understand the difference between a psychologist and a psychiatrist, nor is it the first book that fails to acknowledge the NHS in the UK but in order to be a believable (within reason) and reach the basic standard of a book of this genre, certain facts needed to be correct, especially if it’s part of the plot and the occupation of a major character. What was the last book that you read that you refused to put down unless there was a dire emergency? The Miniaturist by Jessie Burton, I had put off reading it since early this year, as is the case with books I buy to read for leisure as opposed to review requests and was totally hooked. A strong, but naive, female protagonist gets me every time. 1. Is there a genre you have tried to read multiple times but just have never got into? Why do you think this is? 2. How do you pick your next read? Is it chronological or based on the mood the last book left you in? 3. What do Blog Awards mean to you? Thank you!! What a lovely award. I can’t wait to begin. I was born in Sri Lanka; it makes me so happy to hear that book made you want to visit. I moved to Australia when I was very young but go back to Sri Lanka as often as I can – my mum and the sea always beckons. I don’t think there are any shores as welcoming or as beautiful as Sri Lanka, I hope to visit someday when I find an appropriate cat sitter. Well-deserved and loved the questions. While I technically don’t accept awards anymore, I liked your question so much I had to answer. – This may sound strange, and while it’s not really a genre, I have trouble with a lot of bestsellers. People ‘oh and ah’ over them and tell me I have to read them or my life won’t be complete or something and yet, a lot of them are disappointing and I wonder how they’re bestsellers (I guess the marketing and hype). Maybe they’re disappointing because it’s too much hype? – I tend to read multiple books at once, but I pick them based on title; mood; if it’s a series, the next; author; sometimes a recommendation; or by the description. I am cynical too about buying bestsellers but admit they are better when I avoid the hype. I find fantasy hard to read and I blame myself for not having a more flexible imagination. I have been nominated for 13 awards in 9 months, I think I will need to consider stopping accepting them but I’m still green enough to be amazed anyone reads my blog and I love passing them on.